Responsibly harvested American hardwood is used to construct the Fairmount Heights Mirror Dresser. See personal style options in the menu below. 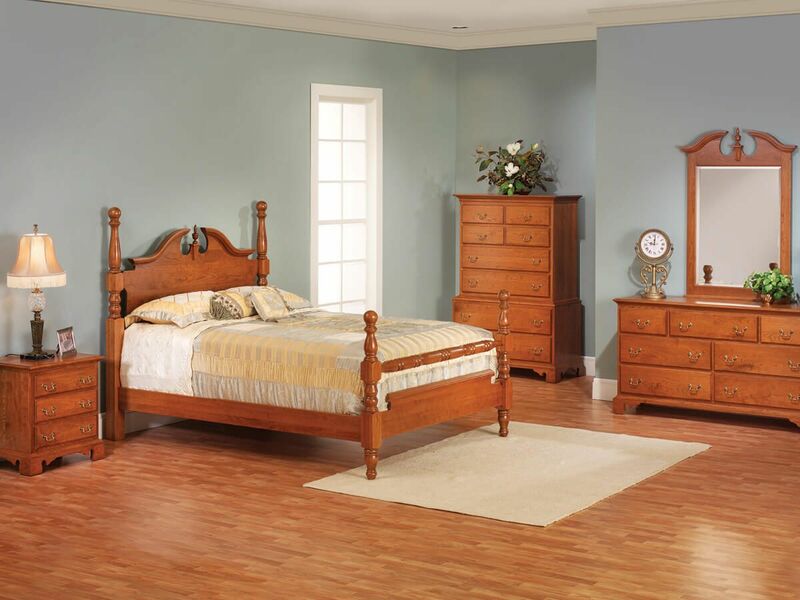 Design a Fairmount Heights 62" Dresser to perfectly complement your solid wood sleigh or cannonball bed. The soft close slides of your Fairmount Heights Dresser allow each drawer to extend fully and provide a controlled closure. Mortise and tenon joinery pairs with the solid hardwood construction of your mirror dresser to ensure its durability and longevity. The Fairmount Heights Dresser boasts carved bracket feet, beveled glass mirror, and an ornate pediment detail. 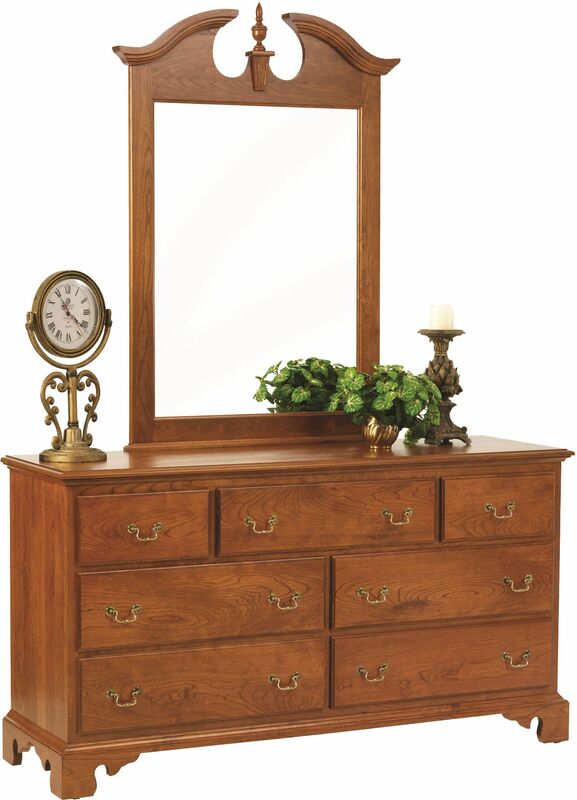 To order your mirror dresser as it is pictured, choose Cherry with our Spiced Apple finish.